Thanks for your interest in trying Garreco Dental products at your dental lab or dental office. We manufacture high quality gypsum made from the finest raw materials to help you create the perfect model. In addition, we sell a wide range of dental lab supplies including acrylics, abrasives, silicone products, rotary and more. Let us help you find the right product for your dental lab. To get started, fill out the short form on the right with your contact info so that we know where to send your sample pack. Don't forget to select the product you would like to sample. 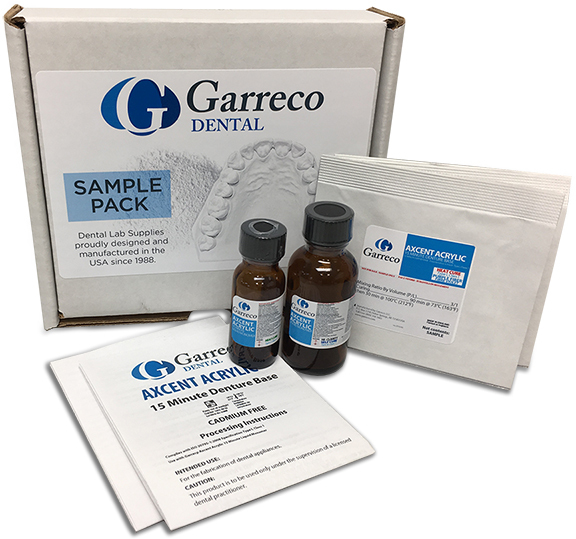 A Garreco Dental team member will contact you to confirm your sample details and get your Sample Pack sent out to you. and request your FREE Sample Pack now! What product are you interested in sampling? © 2019 Garreco, LLC. All rights reserved.